Want to stay informed on how you can help families and individuals struggling to make ends meet? Sign up for the newsletters for updates. 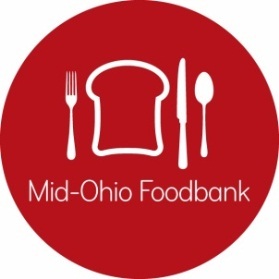 NewsFeed - General information on Mid-Ohio Foodbank and how you can help hungry families. We’ll share stories about the people you help and more ways to get involved. Foodbank Advocacy Network - By working together that we can impact public policy decisions and create positive change for those in our community who are hungry. Urban Farms of Central Ohio - Stay informed about our efforts to transform vacant sites in under-served neighborhoods into productive, sustainable urban farms that provide food insecure residents access to fresh, local produce, jobs and job training, and opportunities for civic engagement.